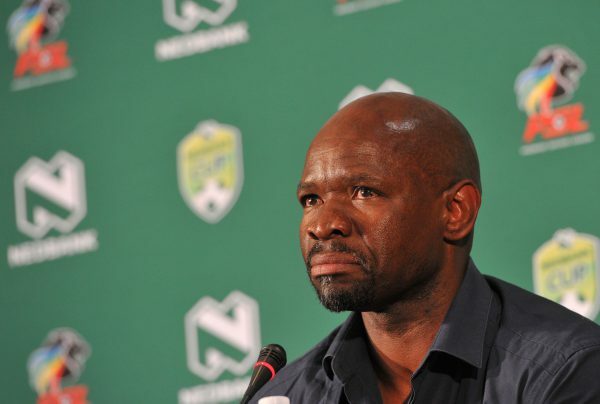 Golden Arrows coach Steve Komphela has finally responded to his impersonator Simangaliso Mdluli. The 20-year-old became popular two years ago when he shared videos of himself impersonating Komphela during his time at Kaizer Chiefs. Mdluli has since been invited to several TV shows to impersonate Komphela. Komphela says Mdluli needs to lookout for people who are waging a smear campaign against him and are using Mdluli to ridicule and humiliate him. “There is a general tendency when a black man is given a platform to disrespect people‚ bring them down or when all those fail then there’s a smear campaign. So I will allow him to enrich himself on my back I don’t have a problem with that but it depends on his intentions‚” said Komphela. The former Kaizer Chiefs coach says he doesn’t have a problem with those that imitate him as long as it is done out of respect and he is not insulted. “When people start insulting you‚ you shut up. When there is a smear campaign‚ ignore it. When there is a compliment‚ take it with humility.